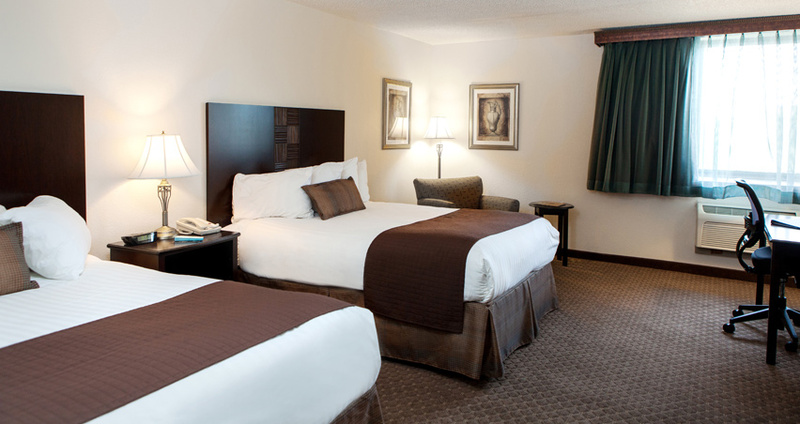 For guests traveling with their pet, this BEST WESTERN PLUS has specific pet friendly room. 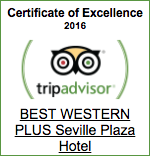 The room is conveniently located near our outdoor courtyard and lawn. 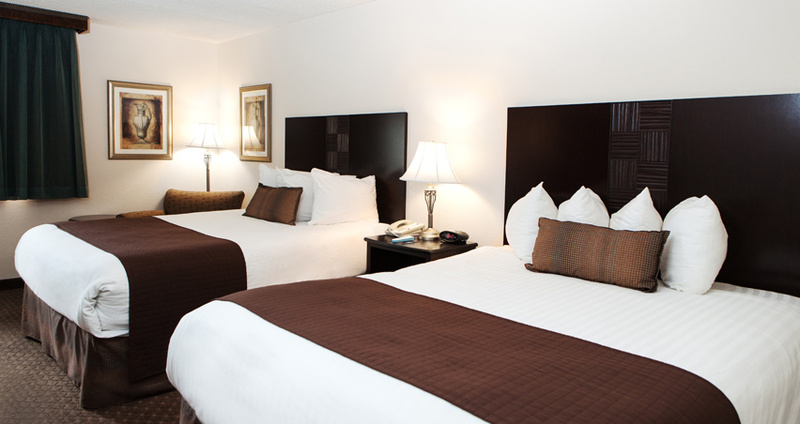 The guestroom comes with two queen beds. 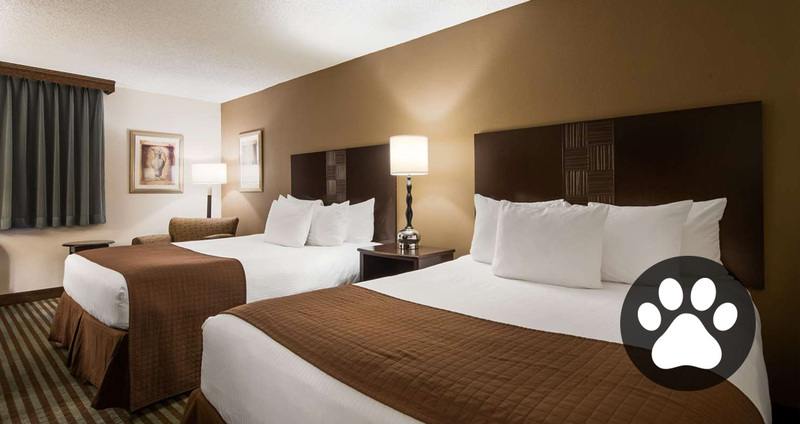 These rooms also have premium channels available, free high-speed Internet access as well as gourmet coffee, and soft towels and spacious work desks with ergonomic chairs.